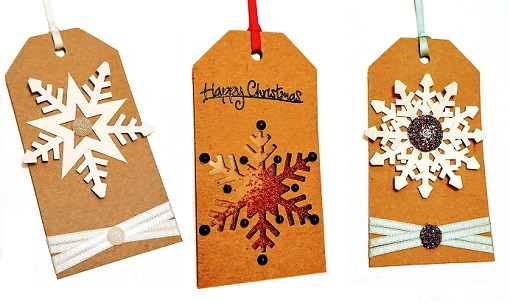 Thanks to Jenny Redfern for these amazing examples of making your own tags using the Stix2 Die Cut Shapes, Double Faced Satin Ribbon, Glue Gun and Glitter. 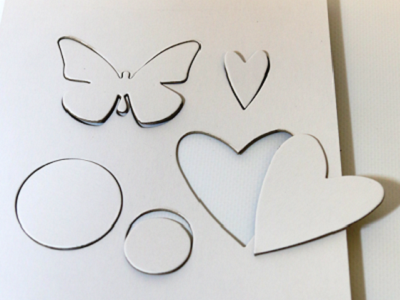 So many possibilities with the Die Cut Shapes without the need for a machine! All handmade by Jenny Redfern. 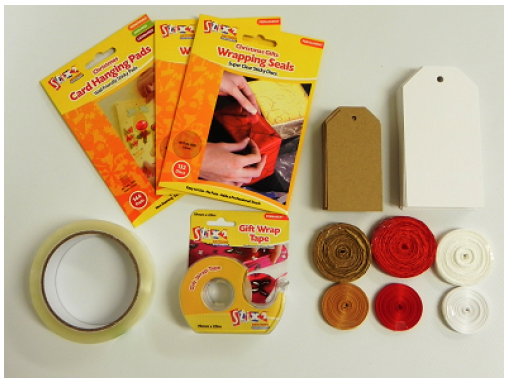 Everything you need in one fab pack to hang your cards, wrap your gifts and make handmade tags. Dont miss out on this Kit and get it while it lasts! 8gms per tube, Product code K903. Its coming close to Christmas and orders are coming in thick and fast. 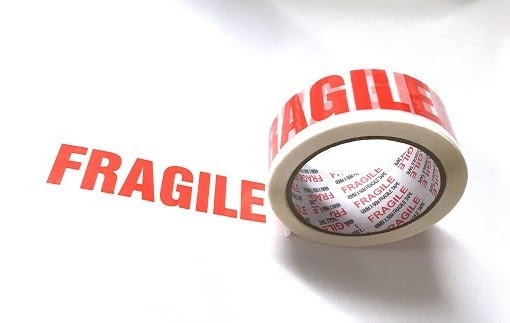 With Royal Mail increasing their staff to keep up with the Christmas demand, help them out by letting them know you have put time, care and attention to detail to the parcel they are handling with the Printed Fragile Tape. 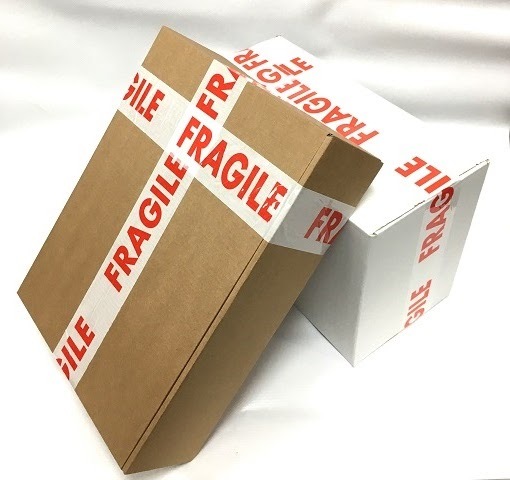 Special Offer on our Polypropylene Fragile Packaging Tape. 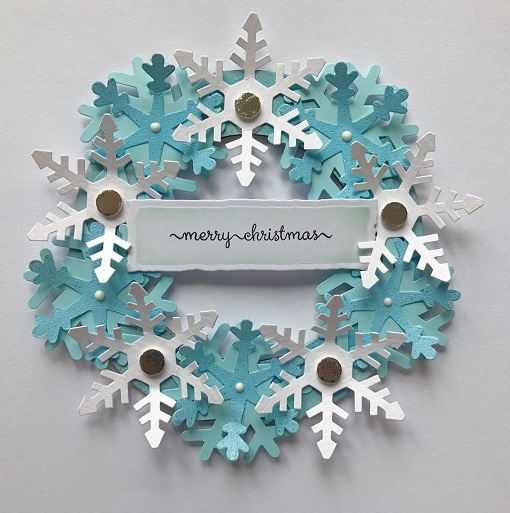 We love to see how your own inspiration and ideas can turn Stix2 products into fantastic crafty makes. Thank you to Clare Brown for showing us your wonderful collection of festive cards. For further product information, please contact us on 0191 2697810 or sales@stix2.co.uk. 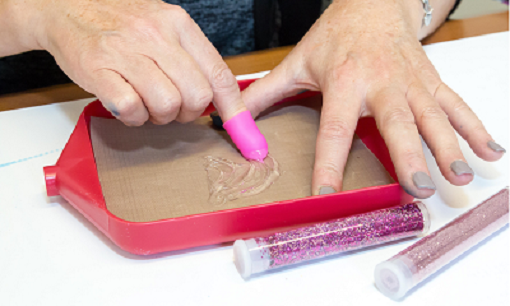 The New Stix2 Finger Protector is a handy thing to have in your Craft Box! 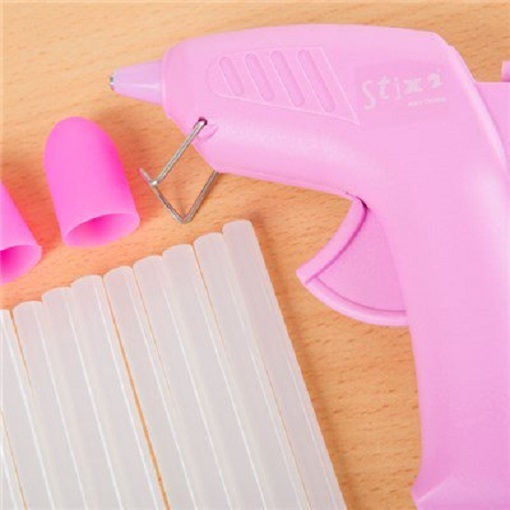 Perfect to use with the Stix2 with Heat Range and the Glue Gun. To watch the full click HERE. and subscribe to our You Tube Page for More! 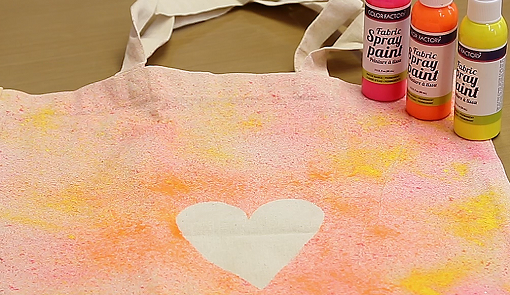 If you need to see how to get the most out of your Fabric Spray Paints then look no further. Here you can see an easy way to decorate your bags adding a personal touch. Michelle can be seen using the Fabric Spray Paints and Fabric Glue Pen. Click HERE to watch the full video on our YouTube account and don't forget to subscribe! This doesn't stop at a bag... this technique can be used on tops, scarfs, canvas, cards and more! Here you can create dots, write names, or greetings, the fine nib allows for ease of use. 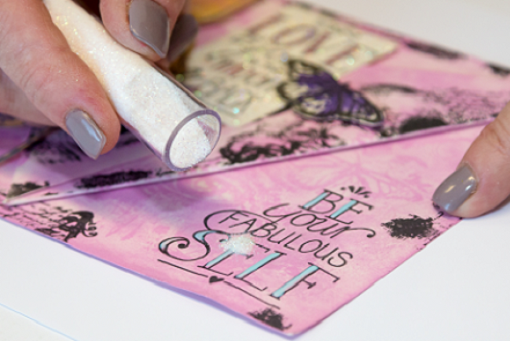 Decorate by adding Glitter or allow for the glue to dry and use the Transfer Foils. 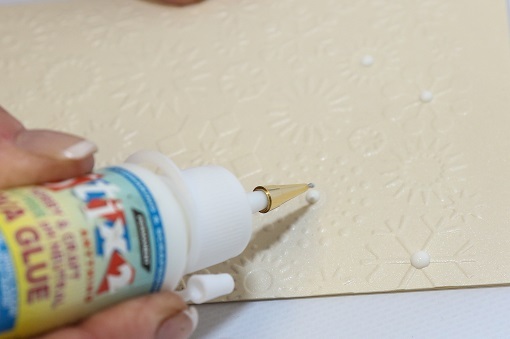 Use the Pin to store your PVA Glue and make sure the nozzle does not clog! 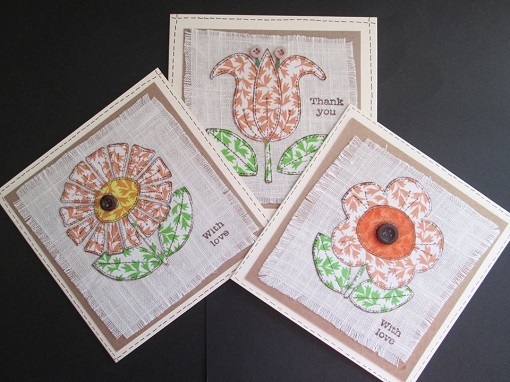 Create your own stamps from your Dies, and more using the Stix2 A4 Mount n Stamp. 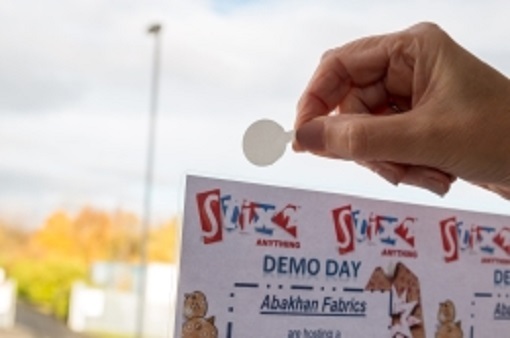 to view our video and how to create stamps using Mount n Stamp, Adhesive Remover and the Heat Range for Fabrics visit our Stix2 Vimeo page Here. 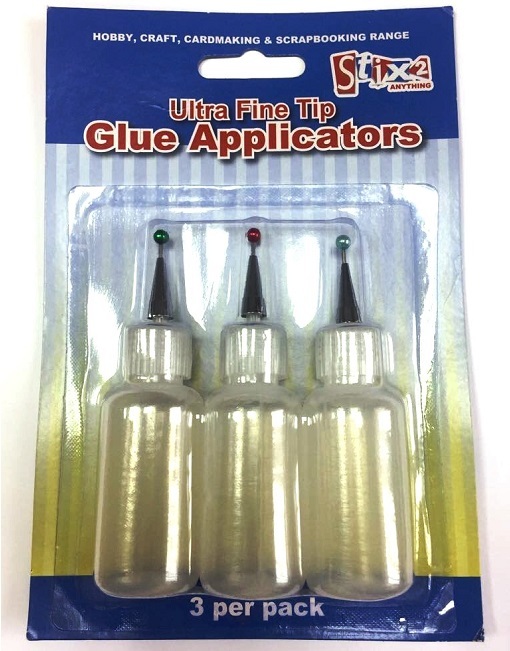 Our 2 in 1 Glue Pen is 100% a must have for any craft box. 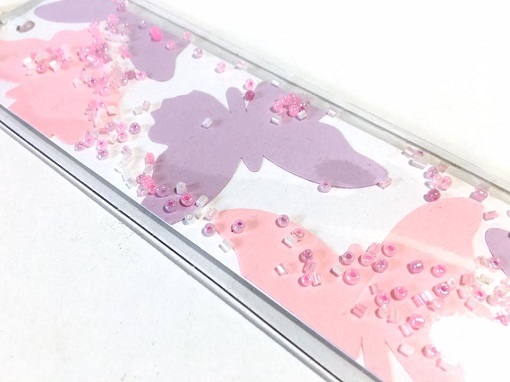 This is ideal for Paper or Card Craft using Foils, Glitter, Embossing and many more ideas! 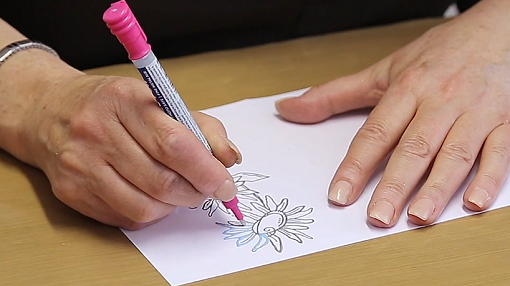 Click HERE to watch Michelle show you how to get the best from your 2 in 1 Glue Pen. For more information contact sales@stix2.co.uk or 0191 2697810. 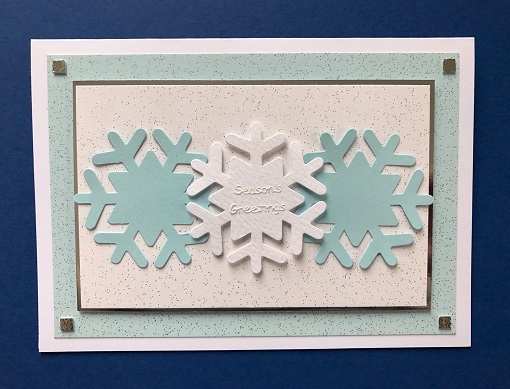 Our Pearlescent Card can be used for so much more than card making. 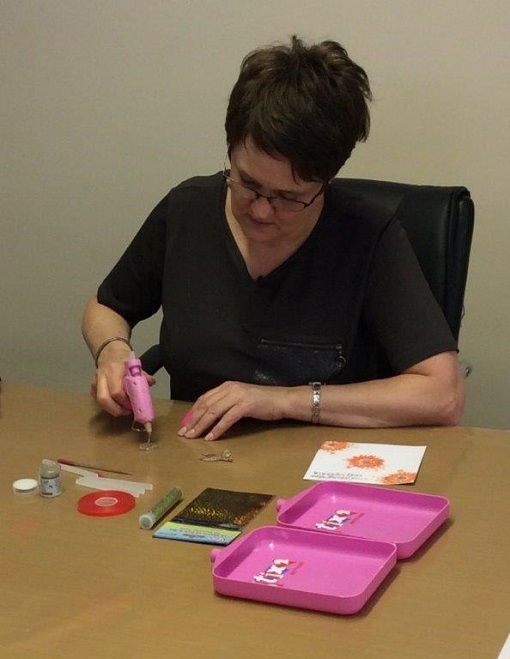 Here you can see the Card being used to make a gift bag, creating flowers for decoration and using the Satin Ribbon for handles. Using the Ultra Clear Tape to secure the bag and our 2 in 1 Glue Pen to secure the decorations. Ideal for wedding stationery, cards and various craft projects. Quick and easy to use. Also great for making double mounts, sticking prints into mounts and various art and framing applications. 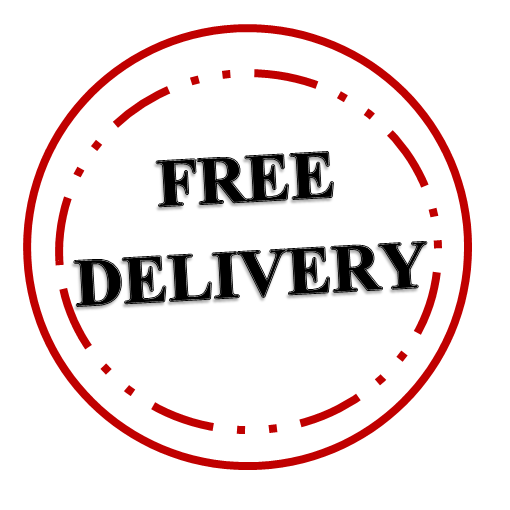 Only £1.65 per roll, Great with our current FREE DELIVERY! When going to a wedding buying a new outfit can sometime be very pricey.... However... Jenny had a skillful idea. 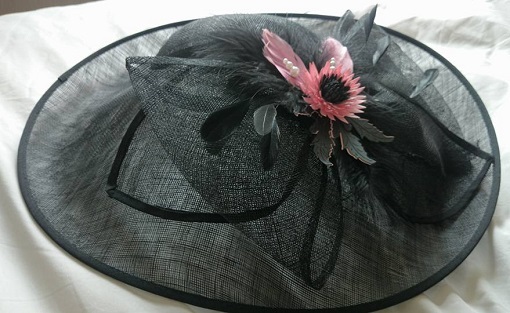 Using some Stix2 Card and Glue along with Feathers and Dies she could recycle a hat she had only worn once! 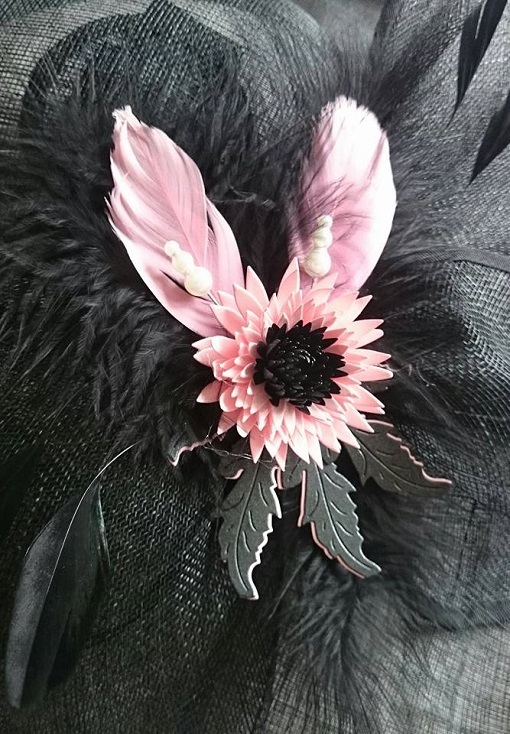 Its a brilliant idea to save on the cost of new accessories at every event! Fantastic for your craft stash, to use with your dies, stamps & stencils. Great with our current free shipping! Limited stock, so get your order placed quickly. Cardboard Sheets by Stix2 are made the perfect shape for the Big Shot! They are great for adding depth or structure to your project, they can ran through Die Cutting Machines, glittered, embossed, decorated in any form. Ideal for use with any Stix2 adhesive. Easy to use and ready to decorate. A MUST HAVE for all crafting boxes. Self Adhesive Border Lined Tape by Stix2 adds a very pretty decorative effect to your projects and is easy to use and apply. 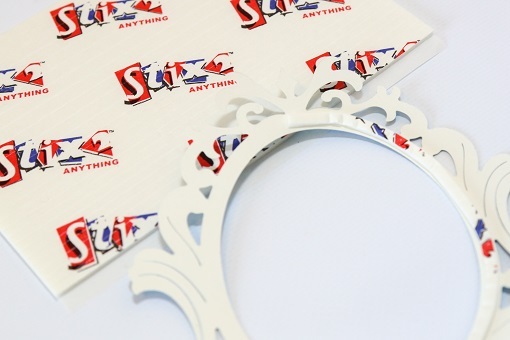 It gives an ideal finishing touch to your Cards, Invitations and Stationery. 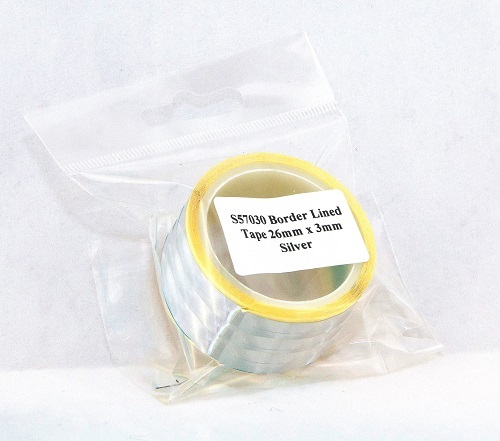 Available in Bright Silver S57030 - 6 strips per roll, each one at 3mm wide x 3m long. For further information about any of our Stix2 products, please contact our sales team on 0191 2697810 or sales@stix2.co.uk. 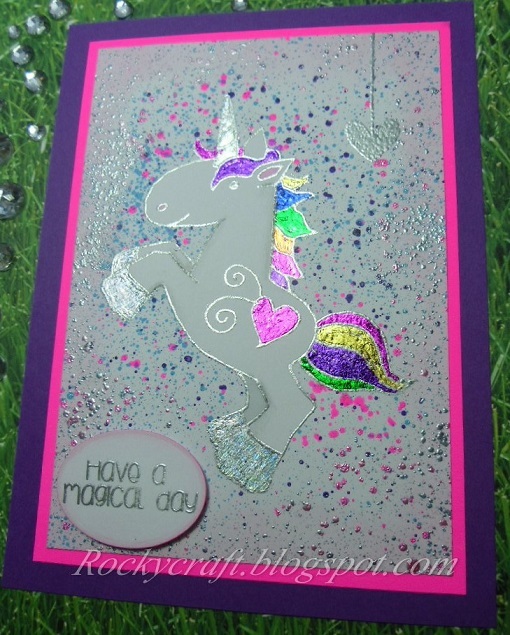 With the launch of the new Despicable Me 3 Movie our very crafty Rushanne has created this lovely Unicorn Card in honour of Fluffy. For more projects by Rushanne please visit her Blog. 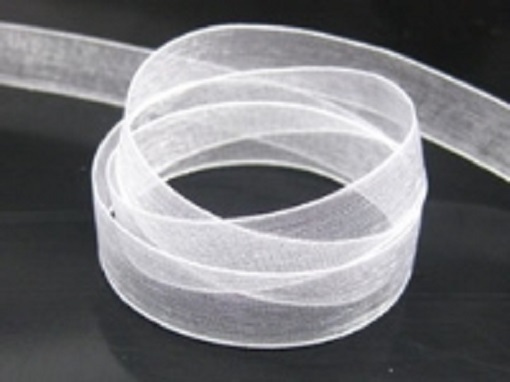 Stix2 offers a range of Organza Bags in a great choice of sizes and colours. They make perfect gift and favour bags. 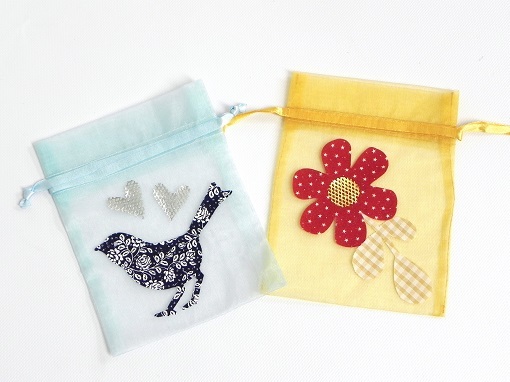 Debbie Frost has made these pretty bags with the Stix2 with Heat range giving them a more special, personal touch. 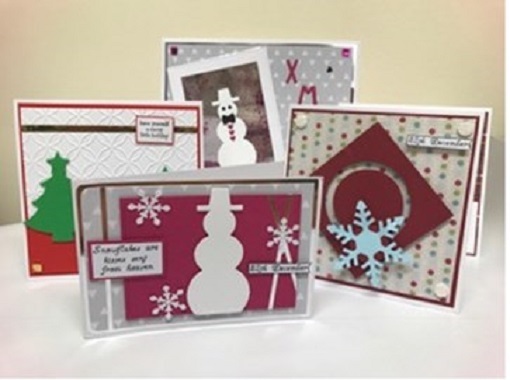 For more projects by Debbie, please visit her Blog. Please contact Stix2 on 0191 2697810 or sales@stix2.co.uk if you need further information. A must have in every craft box in pH-Neutral PVA Glue. Our Stix2 PVA Glue comes in a 30ml bottle making this easy to handle. We offer a special pack of PVA with a Copper Nib, or the Nibs on their own to help when intricate work and attention to detail is of the utmost importance. 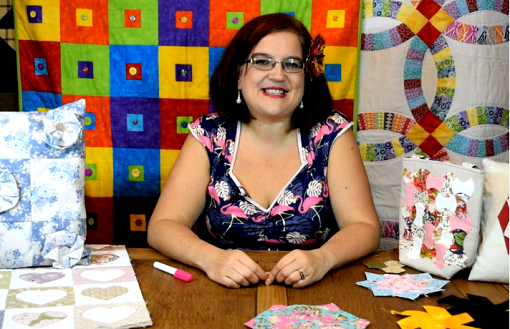 Create and Craft Channel, 28th June at 6pm and 8pm. 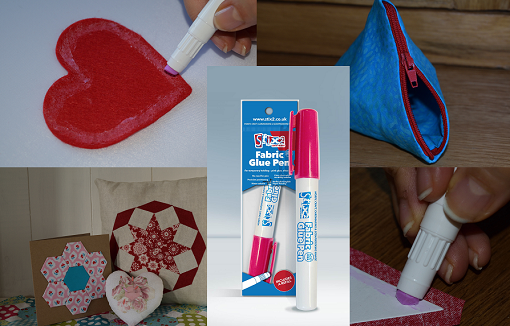 Sarah will be showing her skills and how amazing the Stix2 Fabric Glue Pen is along with some of our other handy tools and crafting must haves. Click HERE for all the information on the Create and Craft Channel. Sky 674, Freeview 23, Virgin 748, Freesat 813, also available on Apple TV and Amazon Fire. 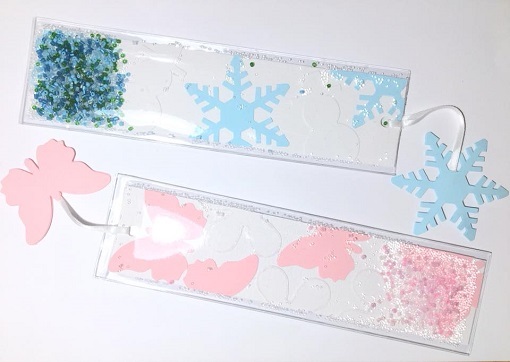 Double Sided Adhesive Craft Foam Strips by Stix2 are great for greeting cards, decoupage, scrapbooking and many more craft and hobby projects. They are perfect for creating three-dimensional art and for mounting very small objects. Use them to mould around frames such as ovals, intricate die cut frames, lettering and larger shapes in general. They are easy to use with a permanent, acid free adhesive, making them suitable for sticking many different objects onto your projects. Make your own 3D foam pads to exact required lengths simply by cutting with scissors. Our brand NEW Stix2 Perm/Peel Poster Discs are ideal for hanging posters and notices up in your shop, on the wall, display, door or window. 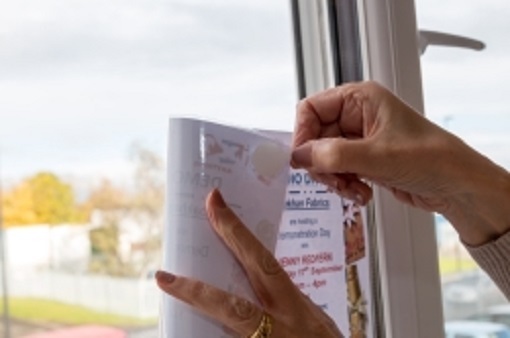 The permanent side will keep your poster or notice stuck, but the removable side means you can take down the poster from your window or display and it will not leave any residue. Each disc has a little pull tab to make it easier to use. With 1,000 per roll, the discs come in a choice of 2 diameters, 22mm and 36mm. Please contact Stix2 on 0191 2697810 or sales@stix2.co.uk should you need any further information. 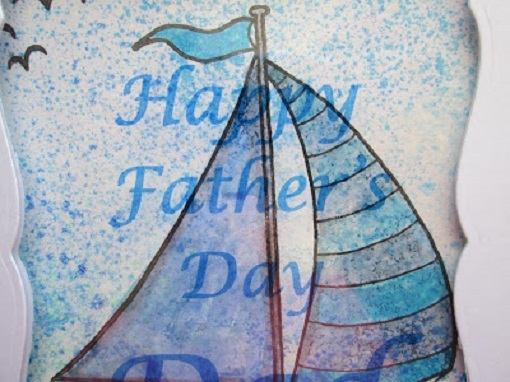 What better way to show your Dad how much he means to you than giving him a handmade card for Father's Day this year. 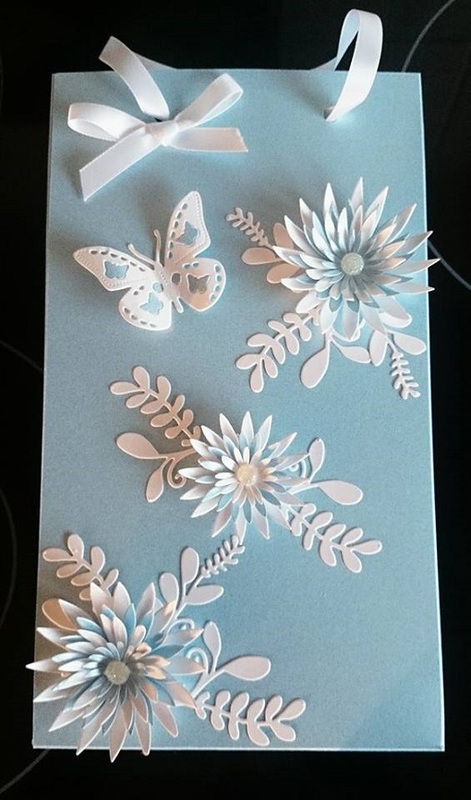 Take some inspiration from Debbie Frost who has made this lovely card featuring the very versatile Printable Acetate which is one of her favourite Stix2 products. Debbie has sprayed some White Card with a mix of the Fabric Spray Paints which are great for paper craft too. 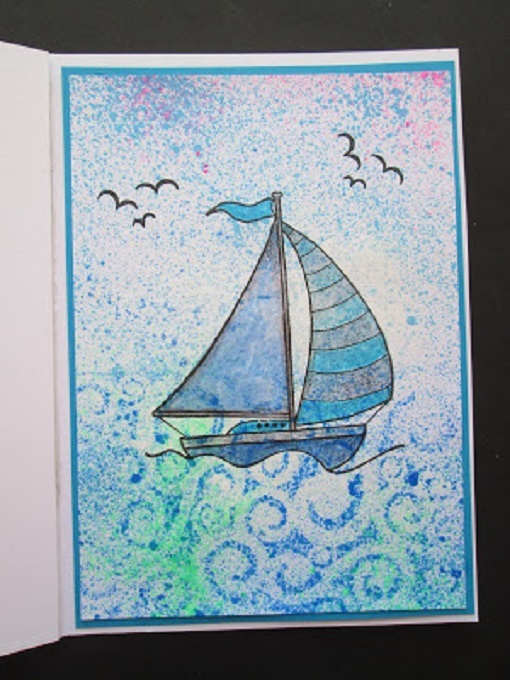 When dry she has printed the sail boat (Sail Away JGS520) and coloured with water based pens. She die cut an aperture from the front of the A5 Card Blank and then attached the stamped image to the inside of the card so that the boat shows from the front. Debbie then printed the words she wanted using Word on her computer and then printed it onto the Printable Acetate in the same way you would onto a piece of card. Debbie advises leaving the Acetate to one side for a while just to allow the ink to "set" as it's slightly tacky when it comes out of the printer. She then cut the Acetate to fit and attached it to the inside of the card with Ultra Clear Double Sided Tape. Cut another piece of White Card with the aperture to fix over this just to hide the tape and make it look neater. 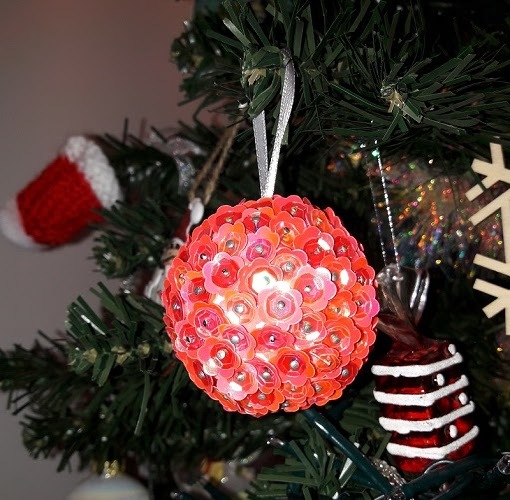 For more projects by Debbie please visit her Blog. 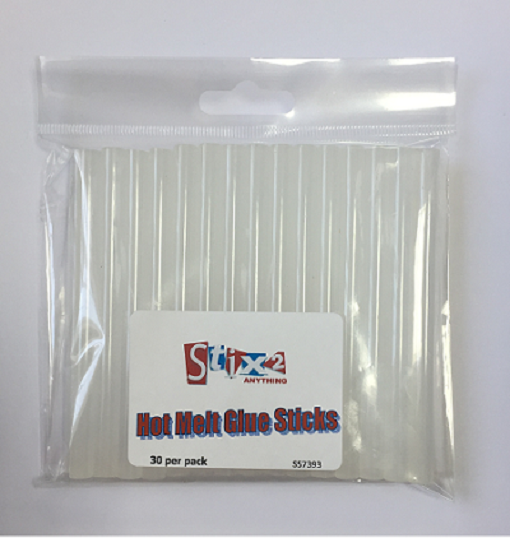 Hotmelt Glue Sticks - Special Offer Pack! Our Stix2 Hotmelt Glue Gun and Glue Sticks are not just ideal for a wide range of arts and craft projects and an essential to all crafters. 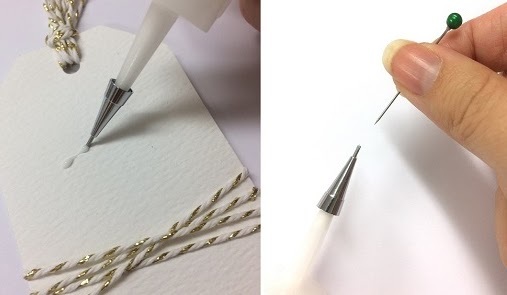 Make unique card topper dots with our Seed Bead and Fine Glitter tubes. Produce interesting shapes for jewellery making with with silicone moulds. 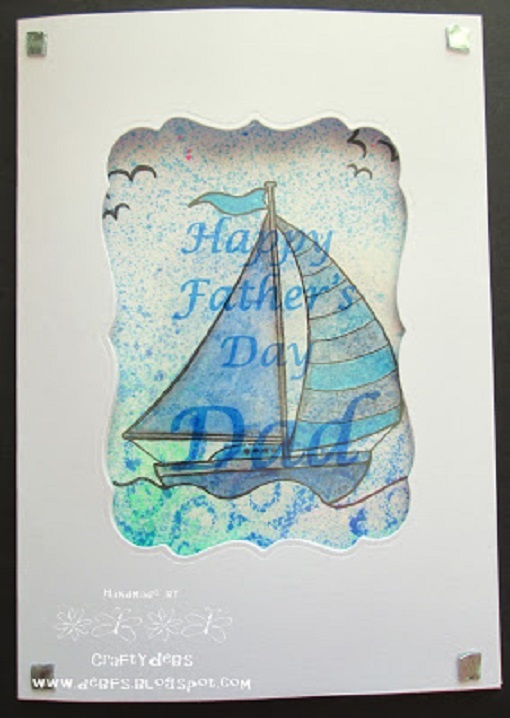 Make swirls and patterns and foil them with a set of our Transfer Foils. Our fantastic Silicone Finger Protectors mean you can swirl your finger in the hot glue without burning yourself! 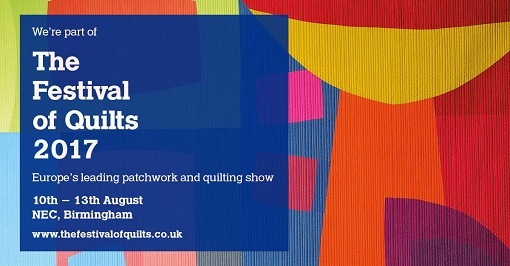 Please contact Stix2 on 0191 2697810 or sales@stix2.co.uk if you need any further information. 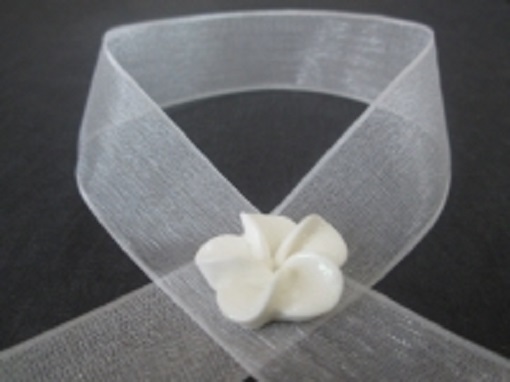 Stix2 now stocks a range of White and Ivory Organza Ribbons. Perfect for all your wedding stationery, cards, gifts and projects. 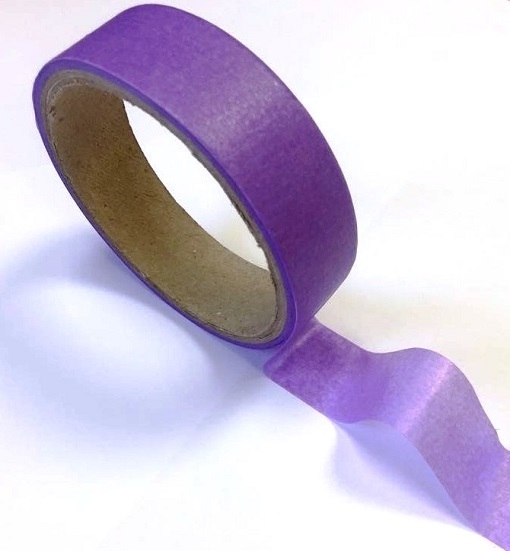 Fabulous for wrapping, edging, decorating and personalizing! Please contact Stix2 on 0191 2697810 or sales@stix2.co.uk for further product information.